I launched this website just to help YOU with choosing an appropriate mattress, pillow and other sleeping equipment for better sleeping. WHY? Because It`s a crucial part of life and EVERYONE has to sleep comfortably and wake up refreshed. JOIN ME and get always fresh reviews, coupons and monthly giveaways! If YOU have any questions, recommendations, remarks, offers or something else, do not hesitate to WRITE ME AN E-MAIL. You can find my e-mail below. 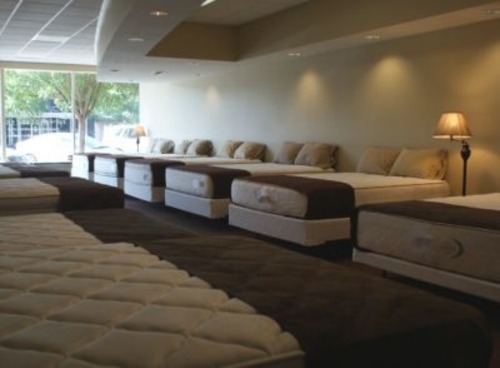 When it comes to shopping for a mattress, you always have a couple of choices. You can stay at home with your laptop and make a purchase, or you can drive to a store and touch and test every mattress model that you want. But which method is the most beneficial? Let’s find out. Is Online Shopping a Perfect Option for You? Is Regular Store Shopping a Perfect Option for You? For millions of people, the best place to buy a mattress is the official website of the manufacturing company. There are many reasons behind such a popularity of official online stores, but this doesn’t mean that this type of shopping is completely flawless. Let’s take a look at the main pros and cons. Hopefully, this will help you come up with the right decision. 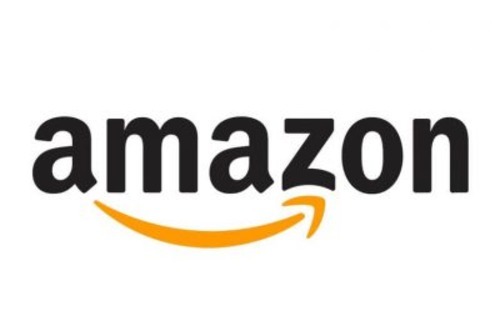 Another popular shopping spot, which is considered the best place to buy a mattress by numerous people, is Amazon. Let’s take a look at the main benefits and disadvantages of this method. A hybrid store is a combination of an online shopping place and a real physical store. 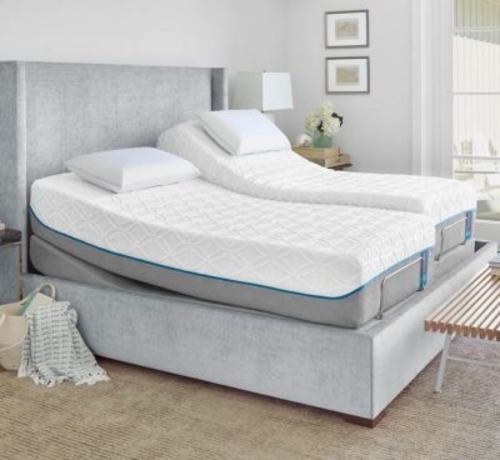 While some people prefer only this shopping method and consider a hybrid store the best place to buy a mattress, there are both pros and cons to it. The prices will be higher than when buying online. The thing is, you must understand that the store owner has to pay rent, workers’ salaries, and has other expenses to maintain the real physical store. All of this will force the owner to sell the mattresses at higher prices. Showrooms are extremely popular. You can come in, walk around, and realize that it’s the best place to buy a mattress. Or you can end up feeling disappointed, as the mattress showrooms can’t be everyone’s cup of tea. 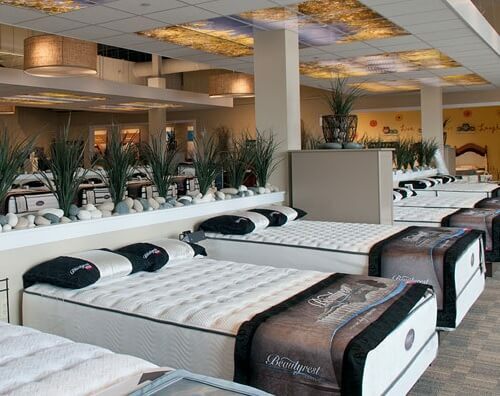 Want to know what makes department stores the best place to buy a mattress from? Department stores make shopping a bit easier since there are so many of them. In the majority of cases, you can find at least one in your area, drive there any time you want, and return home with a brand new mattress. However, it’s not always that easy. If you are still wondering where to buy a mattress and can’t decide which option is the best for you, let’s try to figure out the main question: online vs. in store. Want many options to choose from. You already know that the stores don’t carry too many mattress models. If it’s just one company’s store, you won’t be able to check the competitors’ products. And if it’s a general store, the number of mattress models might not be enough for you. Want the best value. Prices are always lower online since the companies don’t have to pay rent and maintain a physical store. Prefer reading other buyers’ reviews right away. Want to shop while staying home. This one is so simple and obvious, isn’t it? Sometimes we don’t really feel like shopping. It is so much easier to turn the laptop on, click a couple of buttons, and there you have it: your brand new mattress will arrive at your door without you even making an effort. 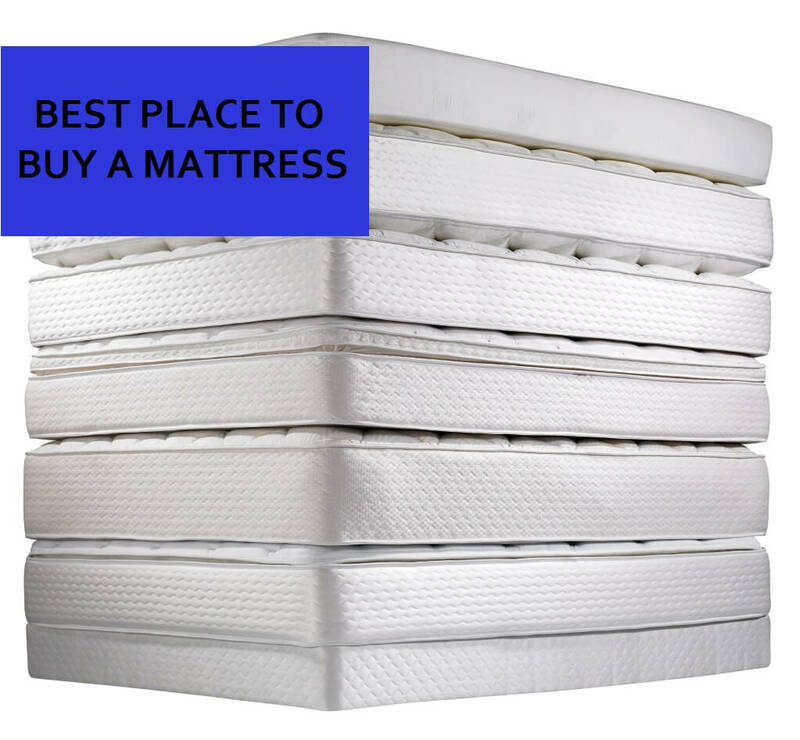 Now, to figure out where to buy a mattress, you should consider all the possible options, and I will help you make up your mind. Aren’t sure which mattress model you need. Will you feel more comfortable on a foam or a latex mattress? Will a firm mattress be suitable for your back? Or maybe a softer model will be a better fit for you? If you don’t know what exactly you need, you should definitely go to a store and try the mattresses out. This way, you will learn which one makes you feel most comfortable. Want to try a mattress before actually buying it. 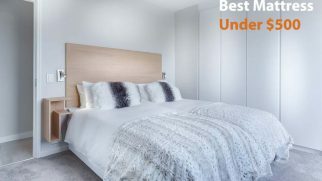 Even if you know that, for instance, a firm foam mattress is a perfect option for your specific needs, you might want to try it before purchasing, as the firmness levels can be different for different models and manufacturers. Don’t mind paying a bit more. Leesa. This company is famous for its “mattress-in-a-box” shipping and high-quality foam mattresses. The company offers a 100-night sleep trial, a free shipping, and a 10-year warranty. GhostBed. This brand belongs to the veteran company called Nature’s Sleep. They are famous for their foam mattresses, Ghost pillows, and other products for the perfect sleeping environment. 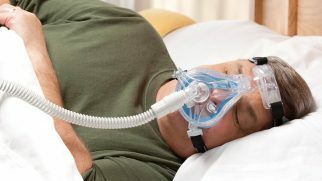 The company offers a 101-day trial and a 20-year warranty. Tuft and Needle. 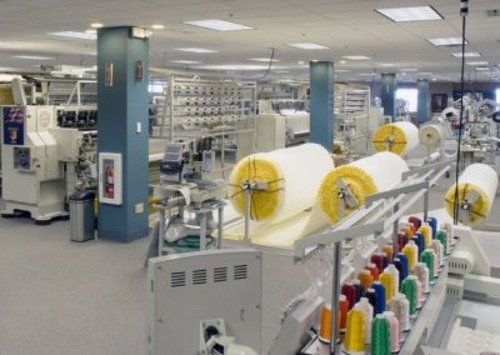 It’s another popular manufacturer that offers mattresses for rather reliable prices. They have only one mattress model, which is claimed to be suitable for anyone. The company offers a free delivery, a 100-night trial, and a 10-year warranty. Casper. 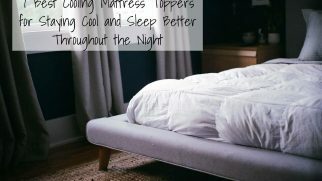 This is one of the biggest names on the online mattress market. Casper offers a couple of mattress models, a 100-night trial, a free delivery, and a 10-year warranty. Tempur-Pedic. 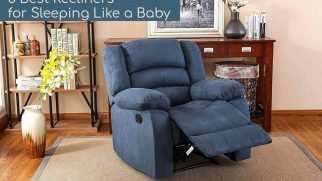 This manufacturer carries a lot of sleep products and accessories. Their mattresses come in different firmness options. Tempur-Pedic offers a free delivery, a 90-night trial, and a 10-year warranty. Buying a mattress online, in a showroom, department store, or any other place is completely individual. I am personally a fan of online shopping. It allows me to save time, so instead of going to a store, I can use that time to check out online reviews, read more about the manufacturer and their warranties, and research different brands. However, you now know the key features and the main pros and cons of all shopping methods, so you can easily decide which of them will be the most convenient and beneficial one for you. *We hate spam as much as you do!